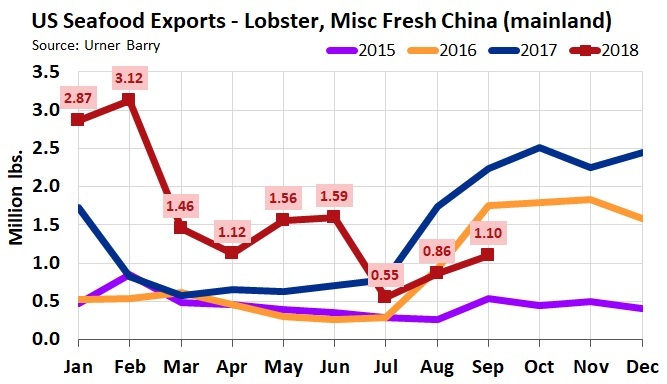 Total exports of live lobster for the month of September were up 11.7% over last year. The US shipped 15,428,448 pounds in the month of September compared to 13,811,482 pounds last September. Of this number 11,999,087 pounds went to Canada, a 30.9% increase year-over-year. Since the retaliatory tariffs on US products to China went into effect in July, exports to Canada have increased 31.53% compared to July/Aug/Sept 2017.